"Our Elevated System was born to improve the collection of the drains in those facilities that needed gutters that were not at ground level, that is, that were elevated", the team with Hydroponic Systems says. The solution has been welcomed by many growers. In the video below one of them explains her experiences with the Elevated System. 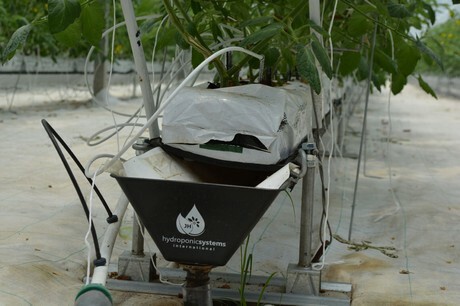 "One of the benefits of our system is that it does not need a slope terrain", the team with Hydroponic Systems explains. "This allows farmers to move from a protected crop in soil to a hydroponic crop even though their land does not have the proper slope." The Elevated System allows you to give it the right slope when it is being installed. It also has adjustable supports in height that allow to adjust the slope easily and accurately. “On top of that, there is no need for special machinery or labour to install this system. It can be installed in any type of facility, it doesn't matter if it is a big or a small greenhouse or where it is located”. Then there's the fact that many greenhouses can't carry the hanging gutters. "With the Elevated System, a greenhouse doesn't need a reinforced structure. If a new greenhouse is made, the incorporation of the Elevated System allows to have a crop with a certain height but without having to have a reinforced greenhouse to support the weight of the crop, saving money on the project. 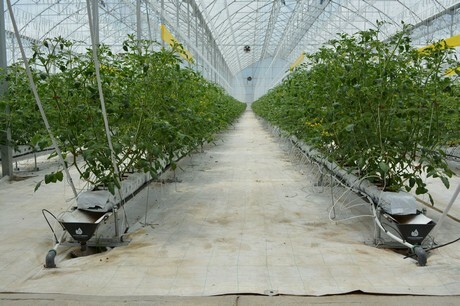 Also, if the greenhouse is already built, it allows changing to hydroponics without any problems." Lifting the gutters has another benefit. Unlike other gutters available on the market, such as the metallic ones, the Elevated System incorporates the Spacer Elevated that allows aeration between the substrate and the flow of drains. 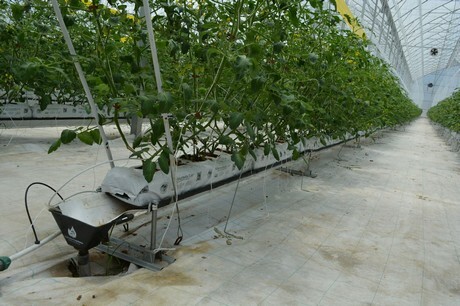 Drains flow optimally without accumulations under the plants. The Spacer Elevated also allows the perfect support of the culture bag that is hydrated uniformly improving its performance.